Nothing is guaranteed at this point, but the latest updates on this case could be a good sign. Might we soon see an end to the legal dispute surrounding the Friday the 13th franchise? Although there is no specific breaking news on the status of this case, the latest happenings in the litigation effort should at least give fans reason to feel optimistic that a resolution could soon be reached. In case you need a refresher, the dispute is between Sean Cunningham's Horror, Inc and original Friday the 13th screenwriter Victor Miller. Essentially, the Copyright Act includes a provision that the original rights holder can use to reclaim what they once owned for any number of reasons. For example, if a bad deal was made many years prior or the value of the property has since shifted in such a way that might warrant a new or better deal, this is a tool that creators can use to secure their rights once again. In this case, there were some factors in dispute, such as whether Miller was considered an employee or not when he first wrote the film. Thus, the argument moved into the courts and was in limbo for quite some time, leading to the eventual cancellation of future content for the video game. Back in September, a judge ruled in favor of Miller, but Cunningham quickly filed a Notice of Appeal so he can continue arguing his case and kick the litigation can down the road a little bit longer, so to speak. 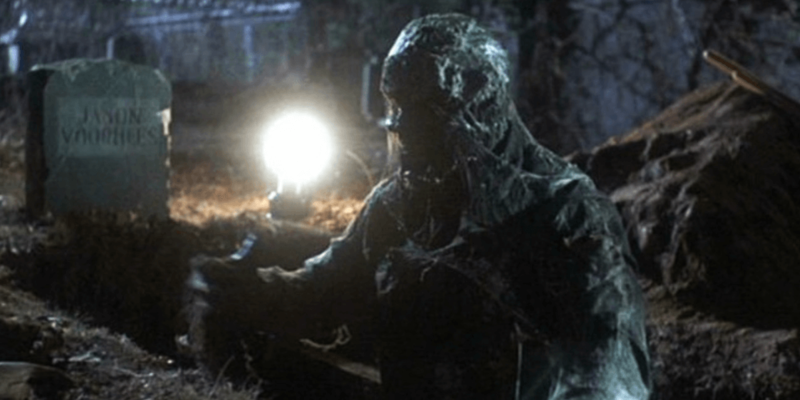 Our favorite actor-turned-lawyer Larry Zerner, who played Shelly in Part III, took to Twitter to weigh in on the latest developments in the case, expressing hope that the matter could be settled sooner rather than later. The most recent development was the withdrawal of the appeal for technical reasons, which the attorney has just dug up more information on. You can read his findings below. Also, based on my experience, the most likely reason that they dismissed the Appeal is that both sides believed that they could get the case settled. So, fingers crossed! Although the appeal could be reinstated by April 12th, which would propel the case to a higher court and prolong this legal battle, the fact that this dismissal took place is a good sign that Cunningham and Miller believe they can reach an agreement before the reinstation date. Negotiations are likely ongoing and a settlement would indeed be the best-case scenario for fans, who have been clamoring for another Friday the 13th film throughout this entire process. As Zerner mentions, the case might very well go back into appeal on the 12th, but a settlement could also happen at a later date before any kind of final, conclusive ruling is made on the matter. Everything is still very much up in the air, but a little optimism can go a long way when the two parties both realize that the time is right to continue this franchise when horror is doing so well in the box office recently. As per usual, we will keep you updated with all the latest developments here on Dead Entertainment.